I'm calling this "Oat" Cheese Sauce because rather than the base being cashews (like our Cashew Queso recipe), this recipe calls for oats! I originally saw this recipe on "Simple Daily Recipes" by the hilarious Jill Ann McKeever. I have made some modifications to give it a more Mexican flavor. ENJOY! NOTE: You can add in cumin, onion powder, and cayenne to make a Mexican-flavored for chip dipping and other Mexican recipes. See additional spices to add, below. Throw everything in your blender and blend for a few minutes until very smooth. Pour into a saucepan and cook over medium heat until thickened, whisking the entire time after about one minute. BE PATIENT! 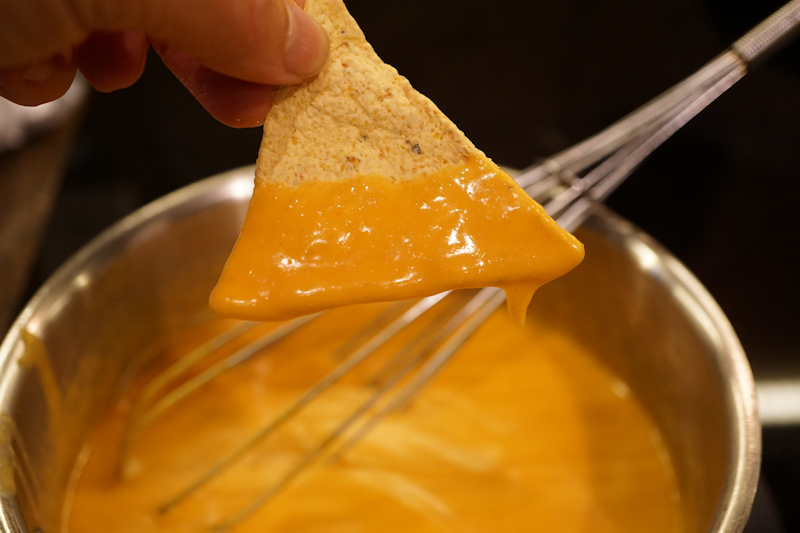 It will thicken to a beautiful, smooth, cheesy sauce.